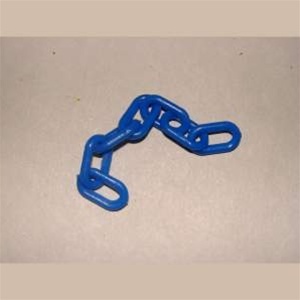 1-inch plastic chain for toy making projects or foot toys, good for small to medium birds. 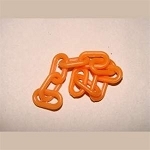 NOTE ON CHAIN: Shade of color may vary from picture and from batch to batch. Orders will be filled in ONE LENGHT OF CHAIN -- i.e. ordering 3 feet gets you one 3-foot section. Multiple cuts can be done at extra cost. Also, we cannot guarantee one continuous length of long-length orders -- i.e., a 20 foot order may be one 20-foot section or one 12-foot section and one 8-foot section. If you need a long continuous section of the same shade, please contact us prior to ordering.